Vern served in Pearl Harbor and then later in the Philippines for the remainder of the war. 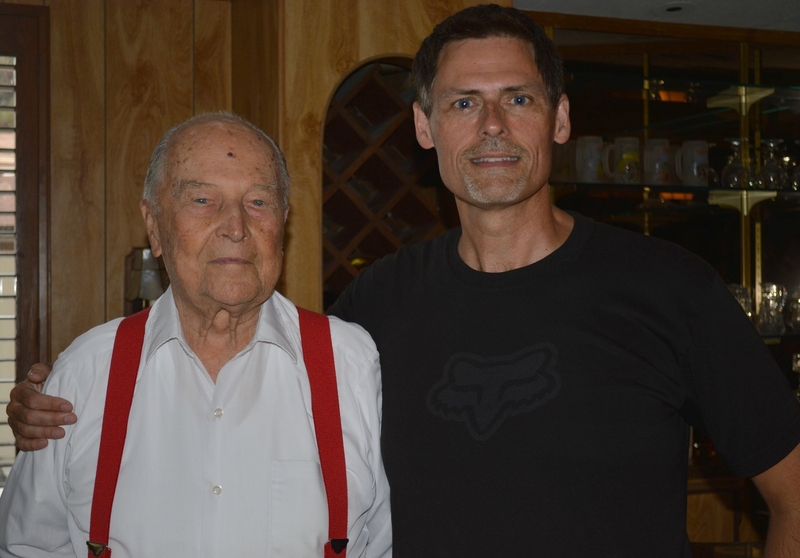 Vern was a Seabee and built roads into jungles and repaired airstrips. He said that he had the opportunity to operate every kind of vehicle but a tank. Vern recalled a humorous moment when he and his buddies were so hot due to the jungle climate that they stripped their clothes off and danced around under a fountain. The local, women “natives” watched and giggled. Vern was born on November 17, 1917 in Minnesota. Left: Vern in Hawaii just before being deployed to the Philippines. 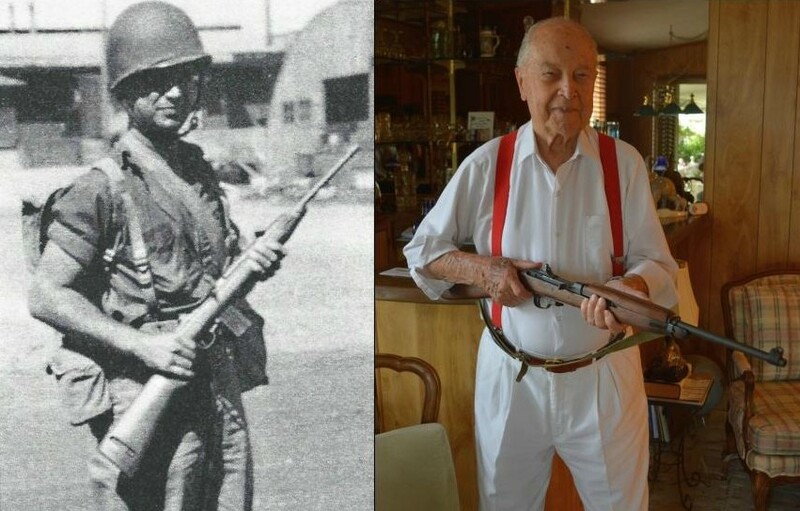 Right: Vern holding my “corrected” 1943 Inland M1 Carbine. Vern said that he loved using the M1 Carbine and would have brought his back from the war if he wasn’t worried about being caught.